Within this page all you will need is a pack of Scentos Scented Markers, scissors, paper plates or a toilet paper roll. 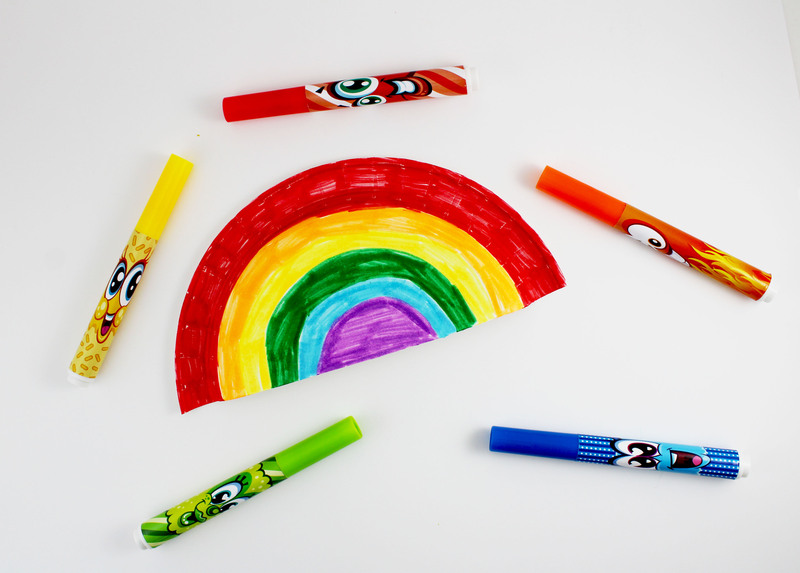 These simple DIY's are the perfect activities to keep your kids occupied especially with summer right around the corner. After you are done making them you don't have to throw them away, they also make for great decorations! With summer approaching that means Shark Week is right around the corner! Not all sharks have to be scary, you can make this shark look however you want. 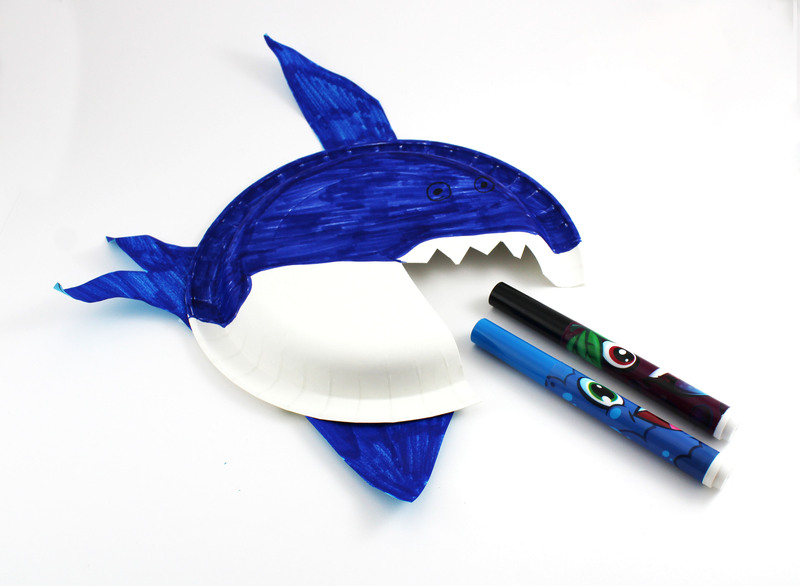 This easy to make shark is the perfect decoration when getting into the summer mood. 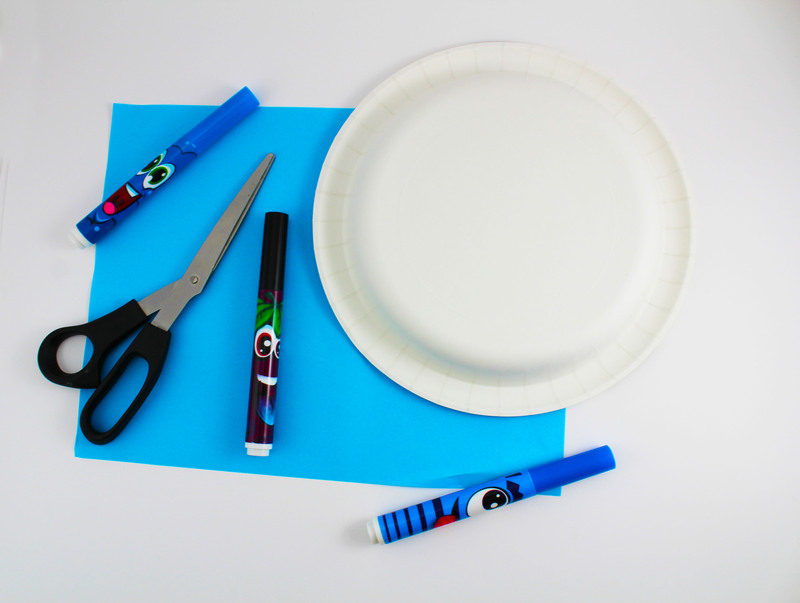 What you’ll need: blue construction paper, scissors, paper plate, blue and black markers. Step 1: cut the mouth of the shark. Step 2: Color in the top half of the shark blue. Step 3: Draw out the fin and tale of the shark. Step 4: Color in the fin and tale to match the shark, then tape it onto the shark. No one likes scary monsters, but everyone loves colorful monsters! 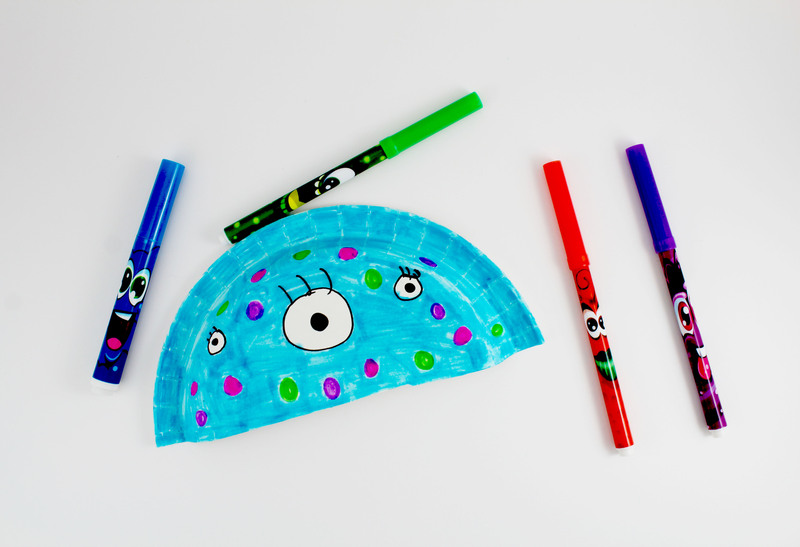 This easy to make colorful monster craft is perfect to keep the kids occupied on a rainy day or even an activity for the family to make together. 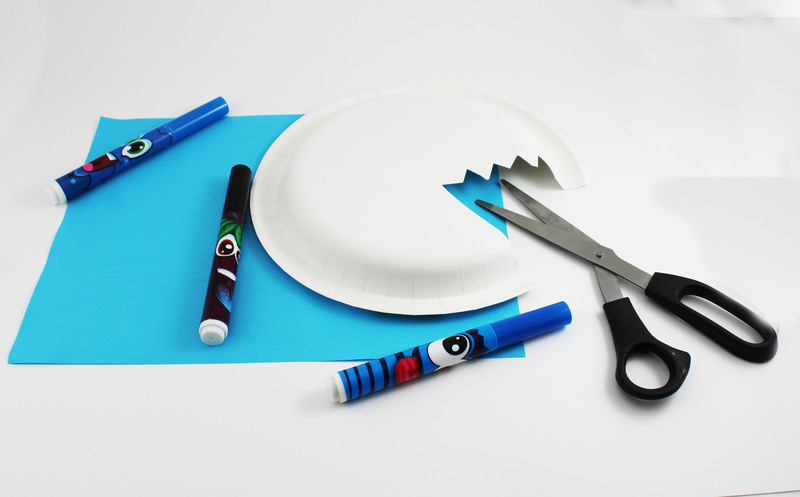 What you’ll need: Scissors, paper plate and markers. Step 1: Cut out half of the paper plate. Step 2: Use your imagination, draw out the monster and color it in! Spring has finally arrived, and summer is right around the corner. What other way to celebrate the beautiful weather other than making a rainbow! 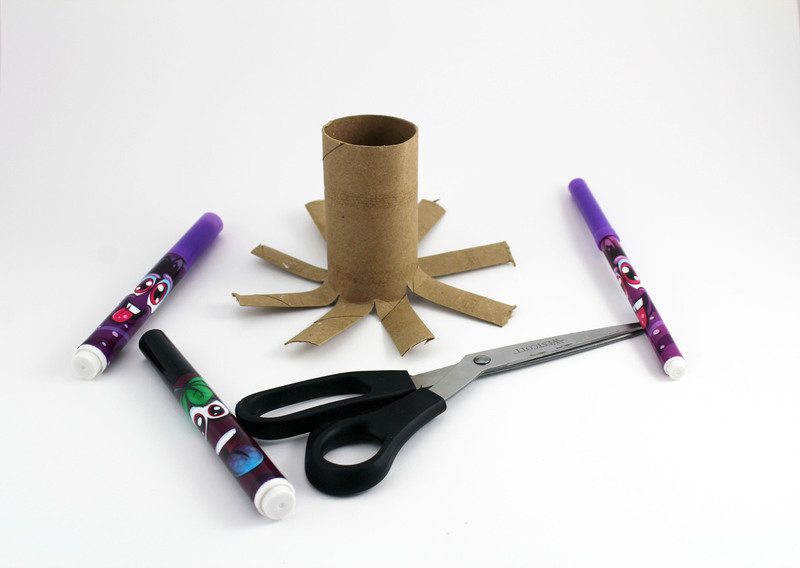 This easy to make DIY can done anywhere from the classroom to at home. 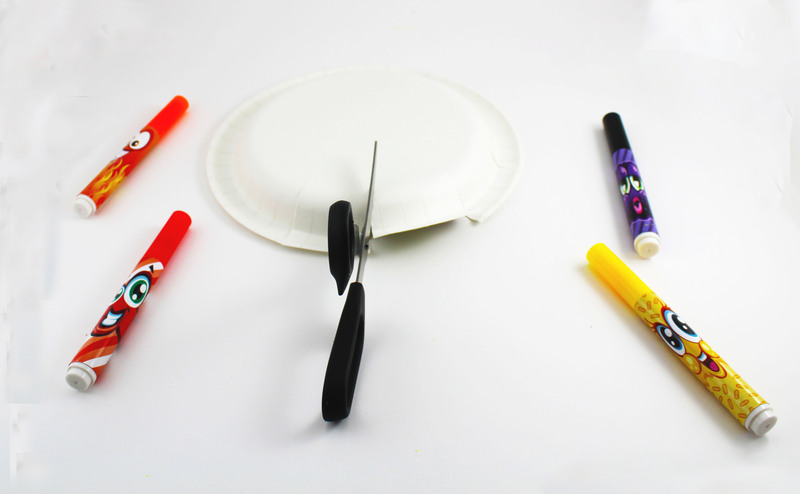 What you’ll need: scissors, paper plate, markers. 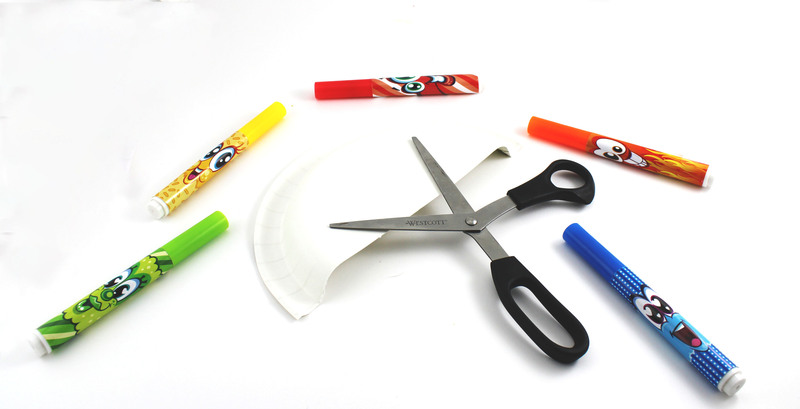 Step 1: Cut the paper plate in half with a pair of scissors. Step 2: outline red, orange, yellow, green blue and purple. Step 3: Color in the rainbow! Looking for a splash of fun? 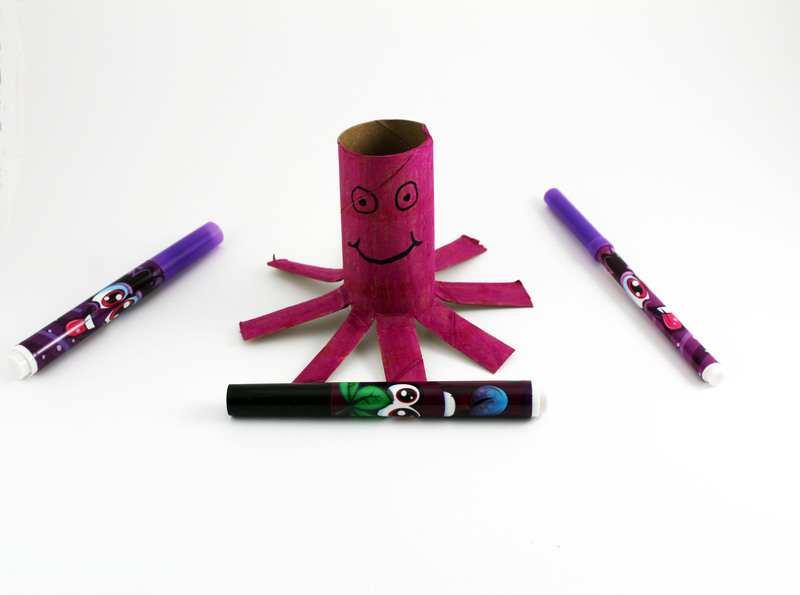 This adorable octopus only takes a couple of minutes to make but can be played with for hours !It requires an minimum amount of objects and is mess free. 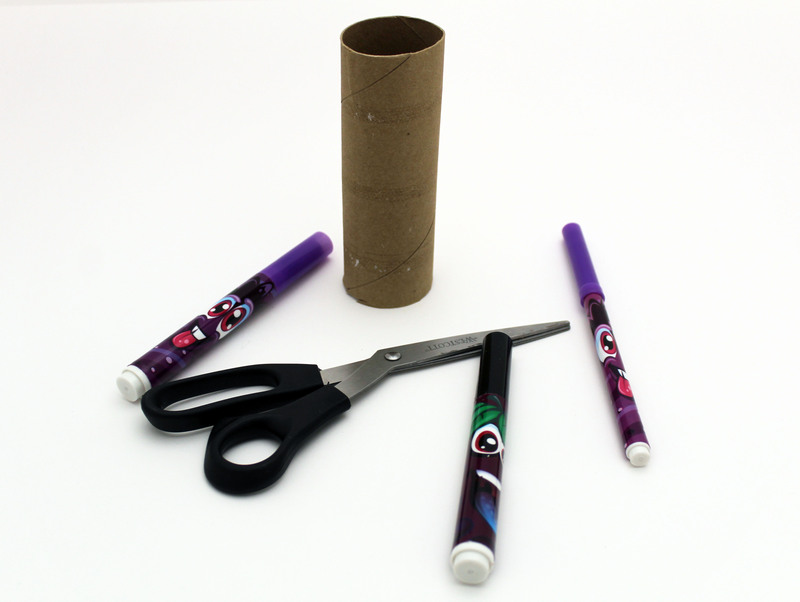 What you’ll need: toilet paper roll, scissors and markers. Step 1: cut from the bottom up on the toilet paper roll, eight times to give the octopus its legs. Step 2: Grab any color to color in the body. Step 3: With a black marker draw the face onto the octopus. 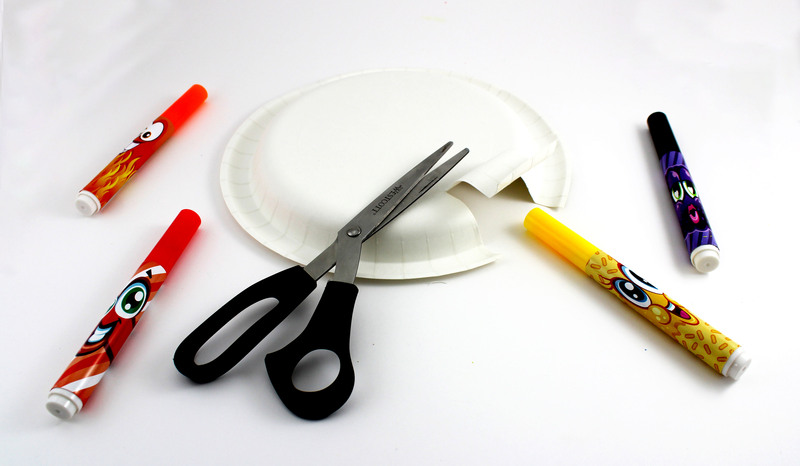 With some extra paper plates, you are able to turn those plain paper plates into some adorable caterpillars. 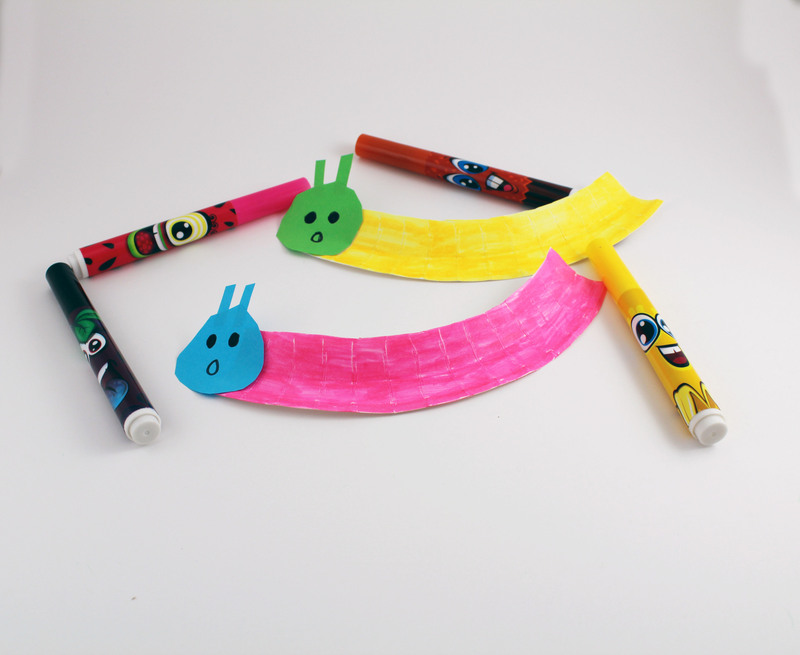 These adorable caterpillars are perfect for the spring when kids are spending less time in school and more time looking for activites to do. 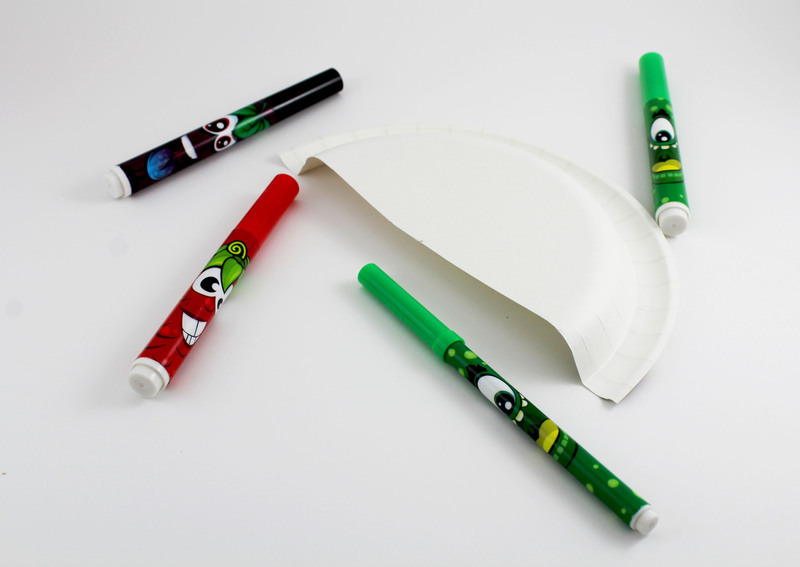 What you'll need: paper plate, scissors, construction paper, and markers. 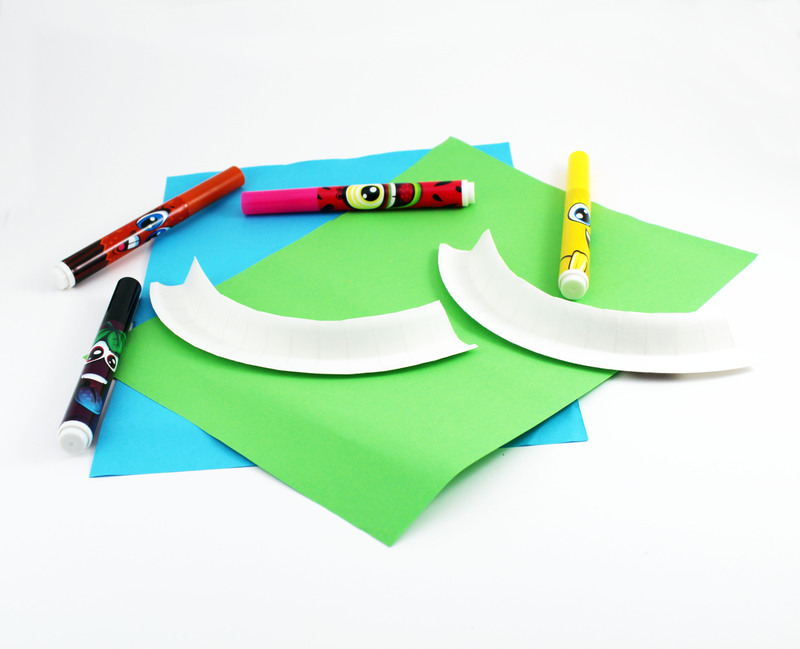 Step 1: Cut out edges of the paper plate to form the caterpillar. Step 2: Color in the caterpillar’s the color of your choice. Step 3: tape the face onto a caterpillar and draw on the face. 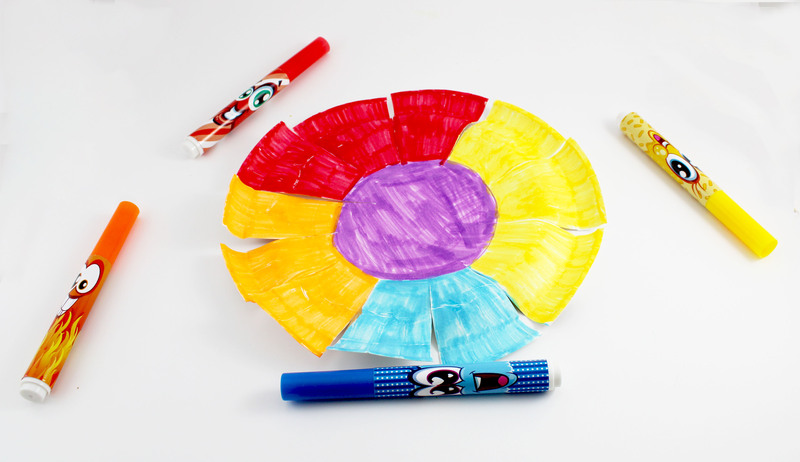 Not only is making a colorful flower good for decoration but it improves kids fine motor skills. Take out those scissors and cut some beautiful peddles and color them in with the colors of your choice! 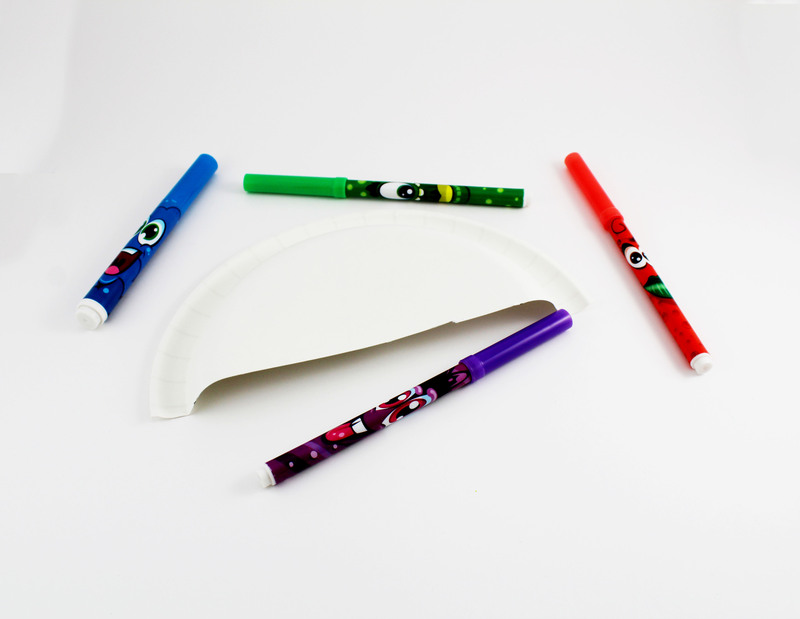 What you'll need: paper plate, scissors and markers. Step 1: Cut the edges on the plate to form the flower peddles. Step 2: Color in the flower and peddles with the colors of your choice. 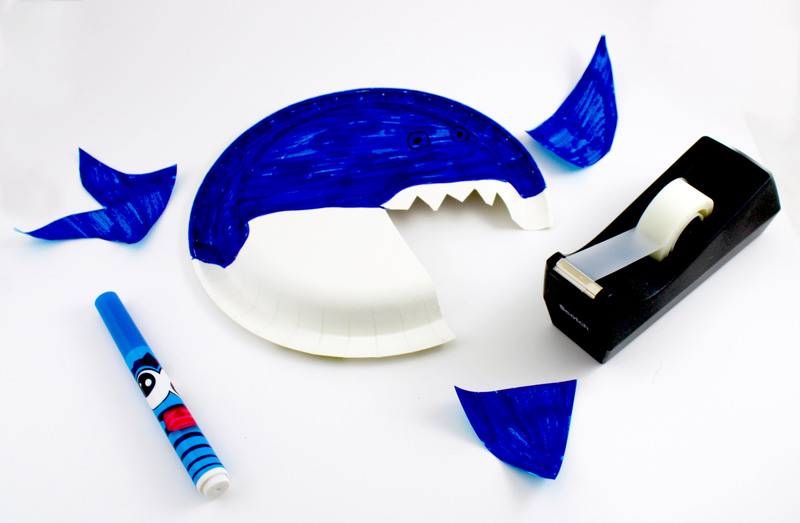 Paper plate crafts are the best crafts because people usually have a plate or two they can spare. 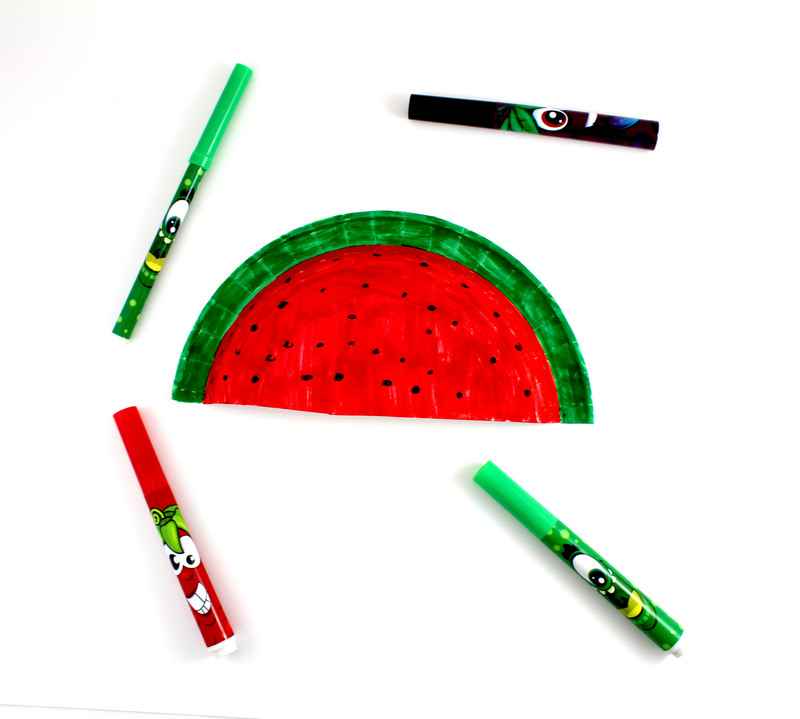 What you'll need: paper plate, scissors, red, green, and black markers. Step 1: Cut the paper plate in half. Step 2: Color the outside green, middle red, and the seeds black.